mrs_kris, abeyer20, louiem33, knottie0d4222d58fe2d836, knottieb2be3546e1755f75 and 156 others joined. 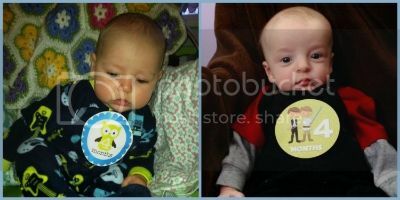 Knottie1458141731, Knottie99275370, 2jsmomma, BcvGrayson15, kalebee and 11 others earned the First Anniversary badge. Knottie1458141731, manava73, knottie3494f8a93fed99b8, knottiea4edd10367418761, hannahps and 50 others earned the Photogenic badge. So I know it is horribly tacky to make suggestions in your own shower, but is there a certain way to answer when the host asks you a specific question? Today my MIL asked what kind of cake I would like. I didn't know if she was making it or ordering it so I gave her two answers: white and marbled. I really am not sure how I could have answered it. I didn't want to sound snobbish asking if she was ordering it and I didn't want to sound like I was accusing her of being cheap by finding out if she was making it. I am pretty sure I am overthinking this, but I figured you ladies would know best. If you are asked what you prefer then it's ok. There's nothing wrong with giving suggestions, making demands in significantly different. No problems. If you're asked, then it's absolutely fine to state your preference. Um what? I would just answer her question, as you did. Ignoring a direct question would be snobbish. I guess I don't understand why you would care to ask if she was making it or buying the cake. Do you have a preference for store bought/homemade cake flavors? The question was more because marbled cake is more difficult at home, but it is my preference. You are over-thinking it. Just answer with your favorite cake and then let her know that if she has a favorite that would be OK as well. If the host(s) asks you specific questions you can answer. It is just a no-no to dictate what you want as far as your shower (like the post below). Yeah, this. "I love marbled, but vanilla is a close 2nd". Done and done. Making a cake / decorating it for an event takes a minimum of an afternoon, marbled vs vanilla doesn't really add much time since by and large most marble cake recipes are made with one batter (divide in half, add stuff to one half). It's considerate of you to think of your mil's time, but pretty much unnecessary in this case. If she asks what you want, dont be rude and ignore her lol. Answer it. I'm glad my MIL asked me what flavor it was that I liked for my cake...if she didn't, I honestly wouldn't eat it. Me (33)& DX: DOR, FSH-20.3; DH(28):SA=normal 8/11 HSG= clear! IUI #1 10/12/11 (Bravelle + HCG + Prometrium & acupuncture) = 10/26 BFP! Beta #1=250, Beta #2= 615. 1st u/s 11/8. That would be incredibly snotty of you.